McEntee’s remarks came two days after the district’s business administrator Richard Matthews suggested the district may consider switching to a self-insurance program to get a handle on escalating insurance costs. Matthews in a presentation on Wednesday of last week said both Newark and Jersey City are paying far less than Paterson for comparable health insurance coverage for employees. “Jersey City and Newark have the same coverage our people have, but they are paying a lot less,” he said. Matthews said the district’s health insurance expenses are expected to increase from $87 to $93 million in the 2018-19 school budget. The district has 4,300 employees. The increase is bad news for a district that has laid off hundreds of employees over the years due to fiscal constraint. “We really want to make sure this year we do everything we can to balance the budget without cutting head counts,” said Matthews in his presentation. He also does not want to balance the budget “on the backs” of homeowners. He has begun holding meetings with private insurance firms to reduce insurance expenses. He sees changing insurance providers to save money as a “win-win for everybody” — the district, its employees, and homeowners. It’s not clear how much the district would save by dropping out of the state program. The municipal government, which has a self-insurance program, has been struggling over the years to contain escalating insurance expenses. The city, which has 1,600 employees, saw its insurance expenses increase by 80-percent since 2010 — from $29 in 2010 to 52.5 million in 2017. The city government, in a communication to the New Jersey Department of Community Affairs (DCA) earlier in the year, has said it is seeking to join the state program to avoid unpredictable large increases. New labor agreements with municipal unions have provisions that allow the city to switch to the state program. The news of the district holding meetings with insurance firms has incensed the union. Matthews’ other strategies to reduce expenses were reviewing labor agreements, legal expenses, purchasing agreements, and leases. 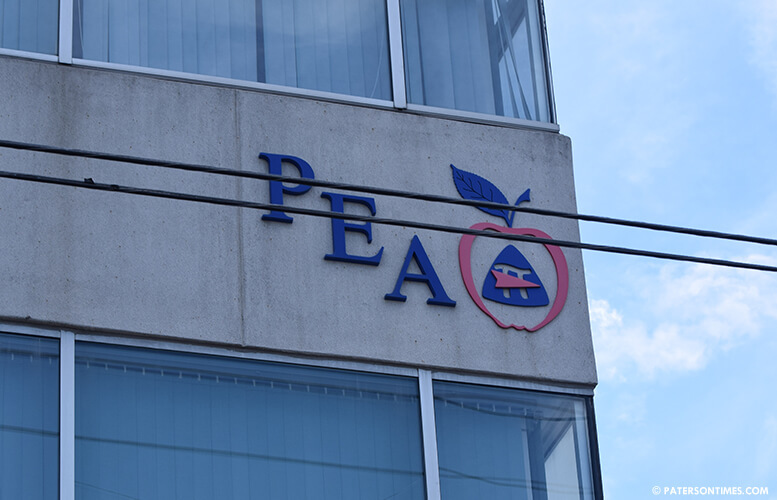 The teachers’ contract expired at the end of June. The union had a rocky relationship with former state-appointed superintendent Donnie Evans. With Evans gone, acting superintendent Eileen Shafer has been able to repair the fractured relationship. Shafer has regular communications with union officials. Some union officials have also praised the new superintendent. Vice president of the teachers’ union Charles Ferrer, Sr. was in attendance at John F. Kennedy High School when Matthews made his presentation. Ferrer spoke at the meeting. He suggested the district not pay for student busing for Passaic County Technical Institute (PCTI). He wants the technical school to pay for busing. He also suggested the district reverse the outsourcing of custodian services. Mr Ferrer is right why are we paying for busing to PCT? Oh yeah Oshin "got a no show secretary job in exchange for expansion vote" Castillo betrayed her constituents through graft. I spoke with a Newark teacher,,,higher co-pays, less doctors, longer times to get an appointment and longer waits in the waiting room to see them.